Advertisement | I’ve never been so far north in Europe. 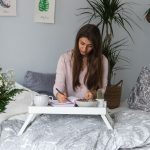 In general I prefer the warmth over the cold and I am such a sun/light-addict which is the reason why I usually travel south or far away – although I heard so many good things about Scandinavian countries already. 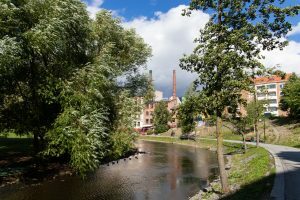 Now I took the opportunity to stay in Oslo for one week and I want to share my experiences with you in this blog post. First I want to say some words to Oslos reputation and Norway in general. 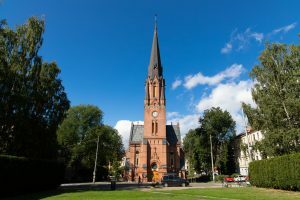 According to the world ranking Oslo is one of the most expensive cities of the world – depending on the ranking sometimes Oslo even ranks on place 1. One cup of coffee easily costs you 50 NOK (about 5€). But of course it always depends where and how you are travelling and how you spend your travels. If you have the opportunity to cook yourself I would recommend taking it (at least sometimes). In comparison to Germany the prices in the supermarket are still higher but compared to eating out in a restaurant cooking yourself will still save you a lot of money. The cheapest supermarkets are Rema 1000 and Kiwi – but keep your eyes peeled for little international supermarkets since they often offer fruits and vegetables at a lower price. 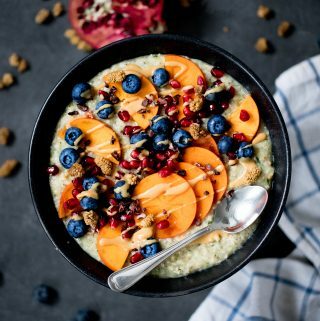 During my stay in Oslo I usually made porridge for breakfast, ate in a restaurant or café for lunch or just had a snack and in the evening I cooked for my boyfriend and myself. 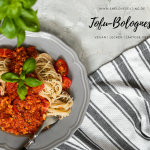 Our base was rice and then we made different meals with it like rice with tofu bolognese, a one-pot meal with rice and veggies but also wraps filled with tomato rice, beans, corn and avocado – of course all of it served with some spinach. To sum it up I ate pretty good while staying in Oslo. 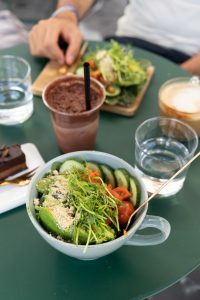 For those of you who want to eat out – you will be able to find some vegan spots in Oslo or at least places which offer vegan food, too. They also serve oat milk almost everywhere so a cup of coffee will be available! 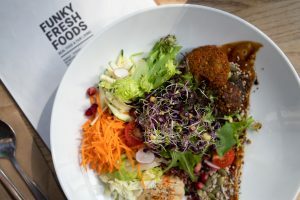 A good address to eat at is ‘Funky Fresh Foods‘. Besides delicious juices, shakes and warm beverages they also serve savory dishes like wraps, burgers and salads. I went for the Funky Fresh Salat which I can really recommend – many different ingredients and a delicious dressing made an awesome meal. With that I had a raw pressed juice. Around lunch time you have to order at the counter, for dinner they will serve you at the table. Want a cup of coffee and a nice slice of cake? Then you will be loving ‘Oslo Raw‘. 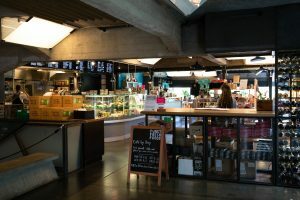 They offer a large variety of lattes (matcha latte, golden milk latte, hot chocolate maca latte,…) and different kinds of raw cakes . 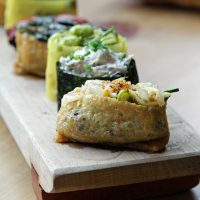 if you want something savory they can treat you with a raw salad or a raw pizza. 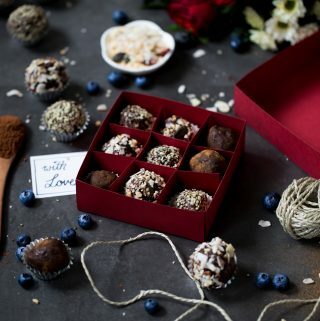 Everything is raw vegan, healthy and super delicious. 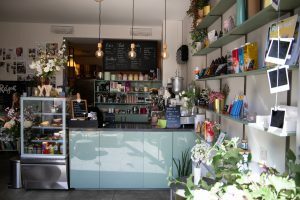 The café itself is really cute as well – I can really recommend a visit here. I went for the ‘Raw Salad’ and the ‘Raw Pizza’ – both served with a really delicious green and red paste and avocado. My boyfriend also really liked both. In addition I had the ‘Iced Nutella Shake’, a Chai Latte (super spiced and delish!) and a piece of raw cake ‘Triple Mocca Slice’. Definitely go and try it – it tastes heavenly! I landed at the airport Oslo Gardamoen (OSL). 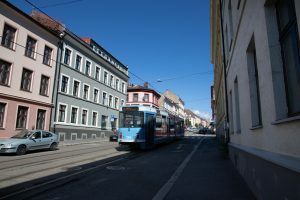 From there you can take the bus (Flybussen) to the city. The ride will take about 35-50 minutes. Tickets can be bought at the ticket center or in the bus itself. For those of you who want to save some money: you should buy the tickets at the ticket center or online – in the bus they will charge you an extra fee of 20 NOK per person. In Oslo public transport is easy and convenient to use. There are busses, trams and trains – the ferries also are included in the public transport network of Ruter. With a ticket you can use all the transportation vehicles mentioned – a regular 1-zone-ticket (35 NOK) is valid for about 60 minutes and you can switch the transportation vehicle as many times as you want in this time frame. Same as mentioned above you should purchase the ticket at a kiosk or (even more convenient in my opinion) through the app of Ruter. Otherwise you will be charged a fee of 20 NOK. This fee is common in Oslo and tries to prevent unnecessary delays due to people buying tickets in the bus. Very smart in my opinion! 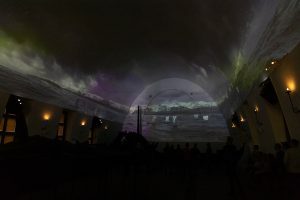 If you spend a few more days in Oslo you might want to consider to purchase a ticket for a whole day or even one for a whole week. Oslo is very bicycle-friendly – no matter where you go there are bicycle paths everywhere. Also there aus the Oslo City Bike. You can rent a bicycle anywhere in the city and leave it at special stations. For only 49 NOK (about 5€) you can get a day pass. With a day pass you can take a bike for 45 minutes and return it afterwards at any other station. This can be repeated the whole day and you can use it to travel in the city and visit some sightseeing spots or parks. Oslo has a lot offer. 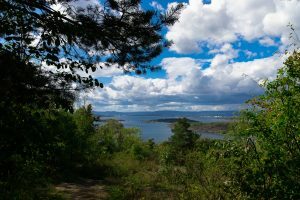 Besides a gorgeous view on the Oslo fjord it offers culture, parks and even swimming or (if you visit in the right season) skiing opportunities. One very pretty district of the city is called ‘Grünerløkka‘. 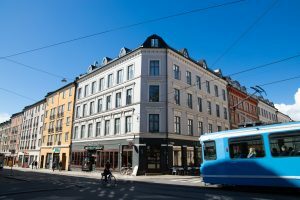 Here you can find little cute cafés, boutiques and more – definitely one of the highlights when it comes to city districts in Oslo. In Oslo you have the possibility to visit one of many museums. Especially on the peninsula Bygdøy there are many of them: Vikingers-Museum, Fram Museum (the Polar Boat Fram), das Norwegian Maritim Museum, Norwegian Open-Air Museum, the Kon-Tiki Museum und the Holocaust-center. I personally visited the Vikingskipshuset (the Viking Ship Museum) but as mentioned there are many to choose from. At some museums you even get free entry on thursdays – looking that up can therefore save you some money. There are many parks in Oslo to visit. I really like the Botanical Garden in Tøyen (which is by the way the oldest Botanical Garden in Norway) but the Ekeberg Park at the fjord is very pretty, too. From there you have a great view over the city but also the fjord and you can see some sculptures along the park as well. Other than that the Frogner Park is one of the prettiest parks in Oslo and the biggest parks in the center of the city. 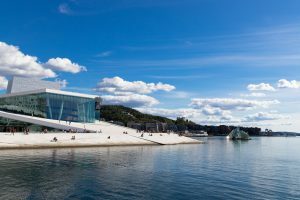 If you are looking for sightseeing spots in Oslo you will have to visit the Opera House which is quite close to central station. 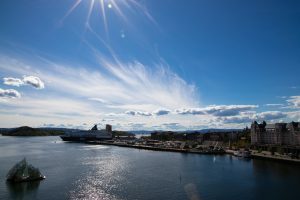 The great thing: you can walk up to the rooftop for free which will allow you a great view on the fjord of Oslo – worth a visit for sure! Besides that Oslo has more sightseeing spots where the official visitor website can give you detailed information. More walking – less driving. I personally like to get to know a city by foot because I think it gives you a better feeling for the city and a better orientation, too. Also you might be able to discover some cute places or cafés while walking around. Cook for yourself. In comparison to eating out you will be able to save a lot of money and you can choose ingredients for your meal according to the prices. 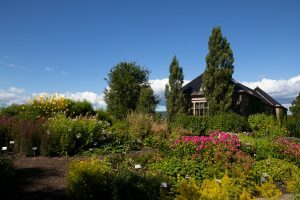 Make use of free attractions. 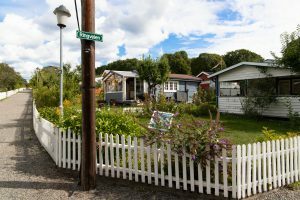 For parks like the Botanical Gardens, the Ekeberg Park or the Frogner Park you don’t have to pay any entry fee. Also some museums offer free entry on Thursdays. 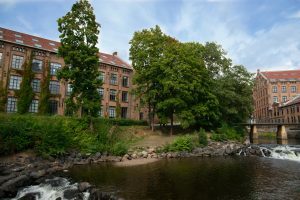 With the ticket for the Viking Ship Museum you can also get free access to the Cultural History Museum within 48 hours. Bring cosmetic products with you. To save money you should bring all products like tooth paste, shower shampoo, etc with you as these products are quite expensive in Oslo. To put it all in a nutshell I would say that Oslo is really worth a visit! 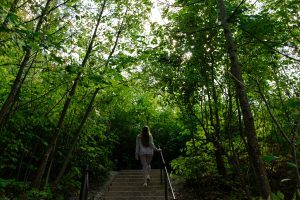 You don’t only have the opportunity to get to know the city but also get out in nature very quickly and do some hikes in and around Oslo. I will definitely visit other Scandinavian countries too, next will be Sweden I guess. If you want to share any additional experiences or tips feel free to share them in the comments down below!